Uzuri International Limited, the local franchise holders of the Miss Universe pageant, says it’s unfortunate that former title holder, Davina Bennett, decided to stay away from Friday’s grand coronation to hand over to her successor. Uzuri, in a statement, said Bennett had a duty to be present. “The Miss Universe Jamaica title holder does not have to be specially invited to the grand coronation ceremony. In fact, it is the duty of each Miss Universe Jamaica title holder to attend the grand coronation show to hand over her sash to the incoming title winner. Therefore, it is unfortunate that this did not happen this year,” said Uzuri. She made the assertion on Friday in a media statement to explain her absence from the ceremony. “ I feel duty bound and compelled to inform my fellow Jamaicans and my beloved fans worldwide that Uzuri has chosen not to include me in this year's coronation, August 24, 2018, following our parting of ways in February 2018,” Bennett said in her press release. IN PHOTO: Davina Bennett (centre) at a media briefing at the Norman Manley International Airport in Kingston on Tuesday, November 28, 2017, along with Karl Williams (left), co-owner of Uzuri International, the local franchise holder of the Miss Universe pageant, and Minister of Culture Olivia ‘Babsy’ Grange. Uzuri noted that Bennett has distanced herself from the organisation, claiming that this started soon after she returned to the island from placing third in the Miss Universe competition last year. “It should be clear to all Jamaicans who follow Davina on social media that she has made it clear to us that she has chosen to disassociate herself from the Miss Universe Jamaica Organisation and Uzuri International Limited. You will note from the social media posts of Ms. Bennett that immediately upon her return from the Miss Universe pageant in Las Vegas she dropped all references to her title as Miss Universe Jamaica and has only kept her title as the 2nd Runner-up to Miss Universe. “Additionally, earlier this year Davina made a post on Instagram in which she sought to distance herself from the Miss Universe Jamaica Organisation and asked us to stop posting contents about her on our social media pages,” noted Uzuri. Uzuri said that it is happy to have provided Bennett with the platform from which she can now propel her career as a model and wish her the best in her future endeavours. 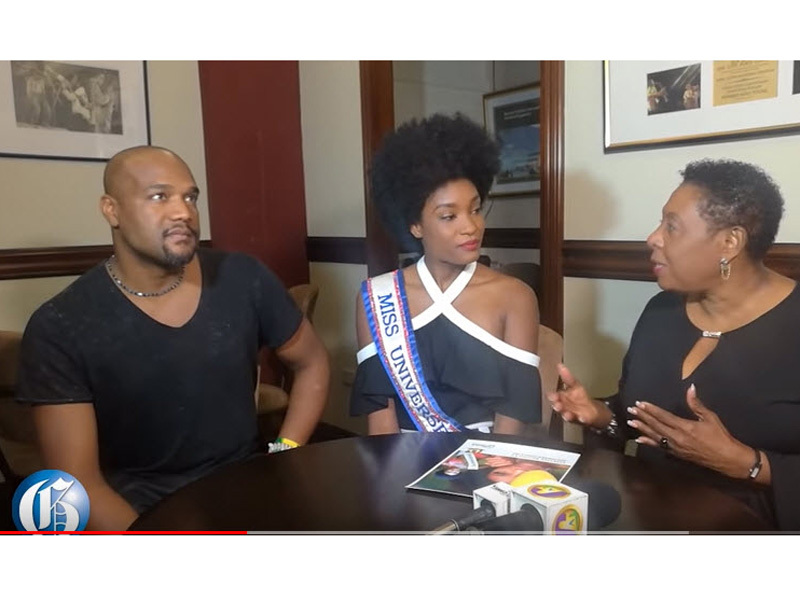 “We spent a considerable amount of time to prepare Davina for the Miss Universe Pageant, where she represented Jamaica well and became the 2nd Runner-up to Miss Universe.